using Xara Photo Graphics Designer Pro in about 30 seconds. Xara Designer Pro X is an All-in-One Software which can be used to perform the tasks for which you may normally need at least half a dozen different software to be installed in your computer. 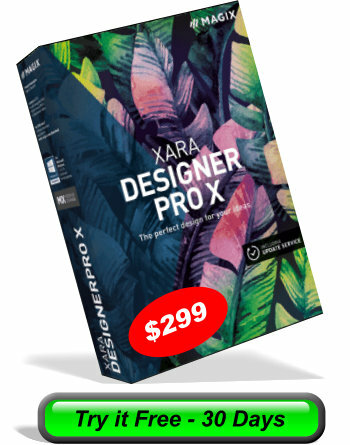 But if you Download and Install Xara Designer Pro X Photo and Graphics Software on your computer then you save money spent buying those software and also save hard disk space. The small yet sophisticated and powerful yet easy to use Software called Xara Designer Pro X can be used to perform all the dedicated tasks listed below. What is Xara Photo Graphics Designer Pro Software? 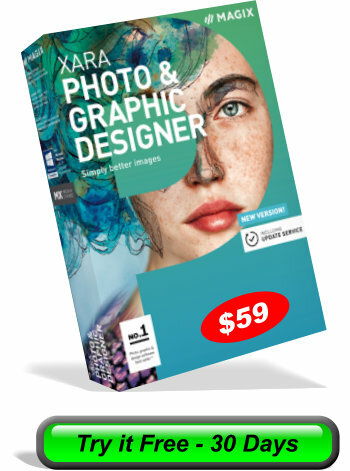 Xara PhotoGraphics Designer Pro Software is the fastest and sophisticated Graphics and Document Creation Software which can be used to create anything and everything starting from Super High Quality Websites, Web Graphics and Illustrations, Drawings, Multi-Page Documents for Print and PDF Documents. If you love photos, then Xara Designer Pro can be used to edit your photos in ways you have never imagined possible, to create impressive digital photo compositions with just a few mouse clicks. If you want to create a website then Xara Designer Pro is the best choice because Xara is the easiest Web Creation Software that allows you to get a "What You See Is What You Get" (WYSIWYG) website and also make a Super Website that adjusts itself across all browsers and all platforms including, PC, Laptop Computers, Notebooks, Tabs, Mobile Phones and all operating systems. If you love graphics then Xara Designer Pro can be used to create high quality graphics like buttons, cartoons, logos and other Illustrations with great details. Imagine creating a complex website easitly with beautiful graphics by just drag and drop method without wirting a single line of html codes. If your work involves DTP or Desktop Publishing, then Xara is the best choice as it allows you to do the all the jobs a DTP software can do and very easily, using your mouse and keyboard without any expertise or experience. Creating designer Greetings or Birthday Cards and Invitations to Large Posters, Advertisements and Multi-Page Brochures in Super High Quality takes no time at all. Using Xara Designer Pro the Sky is the Only Limit. If you can imagine, then Xara PhotoGraphics Designer Pro can make it a reality. The best part is that Xara Graphics Designer Pro that it is a completely template driven software. For any job you want to do there are hundreds of beautiful high quality templates available, so that you do not have to start from beginning and waste time. Just use the template and change only what you need to change so that you can accomplish your work in the shortest possible time. No other software in its class comes anywhere near Xara in terms of ease of use or quality of output. Take a look at the simple user interface of Xara Photo Graphics Designer Pro Software yourself below. in Xara Photo Graphics Designer Pro . Simple User Interface even a child can use. Xara PhotoGraphics Designer has the fastest rendering engine I have ever experienced which smoothly works for all its features like Photo Editing and 3D, Vector, Graphics Editing tasks. 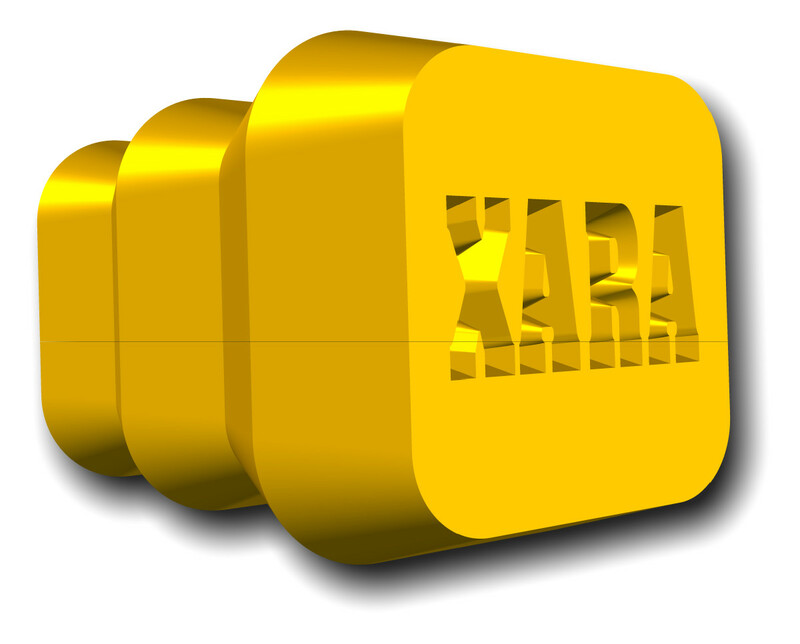 I have tried to depict a few of the unlimited number of Features of Xara along with its most easy to use, clear and concise user friendly interface. The Xara interface is so simple that even a child can use Xara PhotoGraphics Designer Software. You will be amazed at how simple it is to edit photos, create 3D art, generate vector graphics, make a website, create a brochure or any thing else you want. It is a What You See Is What You Get (WYSIWYG) software. I recommend you Download Xara PhotoGarphics Designer Software and useall features of Xara Designer Pro yourself. Only then will you believe what you read in my review. I have been using Xara Software for over almost two decades now. Xara has allowed my imagination to run wild and that is why I love Xara and thought of writing this review site and showcase the capabilities of Xara Photographics Designer Software which I love using even when I don't need to produce anything, but just using it out of love for the software over the past two decades or so, with many silent short but powerful Xara Youtube Videos which can be understood by anyone in the world speaking any language as I am using only icons in Xara Designer Pro which is the same any language interface of Xara. Xara Photo Graphics Designer Pro has a very easy and user friendly interface that can make xara users imagination to run wild. Weather a beginner home user or a professional grahics artist, Xara can surprise anyone with its continuous upgrade with more and more features getting added very reguarly. Xara is an addictive Photo Editing, Web Creation and 3D Vector Graphics Creation software for those who have the passion to produce high quality innovative graphics that can amaze anyone on screen as well as in print. Even if you are not a graphics artist Xara can be your Photo Editing software of choice because the possiblities that Xara Photo Graphics Designer Pro offers you to edit, enhance and enlighten your photographs is beyond comparison to any software of its class. I strongly recommend Xara Photo Graphics Designer Software as the must have Photo Editing Software in every computer, laptop, notebook, tab and phone. Xara now works on all devices including Tabs, Mobile Phones, Laptops, Desktop Computers etc using the latest Cloud Technology.